Loaded baked potatoes are so good, and extremely versatile. I've made them with creamy chicken and broccoli, shredded roast beef with gravy and more. 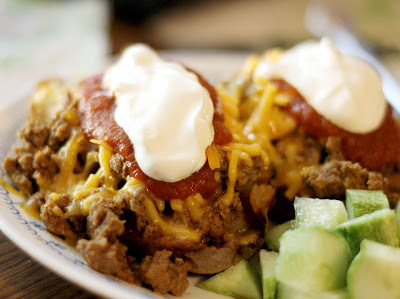 These Taco Loaded Baked Potatoes are family-friendly and make a quick weeknight dinner everyone will love. Change it up and use ground turkey, chicken or pork for the ground beef; any option is delicious. Preheat oven to 400. Scrub potatoes, place on a baking sheet and bake 40 minutes or until cooked through. While potatoes are baking, brown ground beef in a small sauce pan. Drain grease. Sprinkle ground beef with add 2 tbls. taco seasoning mix and 1/3 cup water. Return to burner and simmer until water is absorbed. 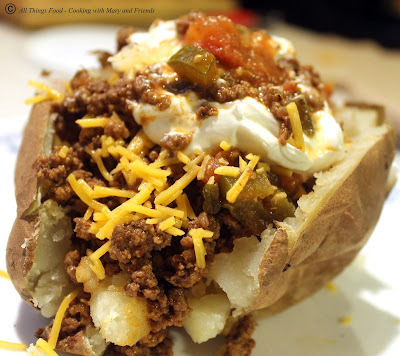 Cut cooked baked potatoes in half lengthwise, being careful not to cut through potato skin. Repeat by cutting potatoes in half width-wise, again being careful not to cut through skin. Using your thumbs and forefingers on both sides of the cut potato, push cut potato together towards center, causing potato to fluff up. 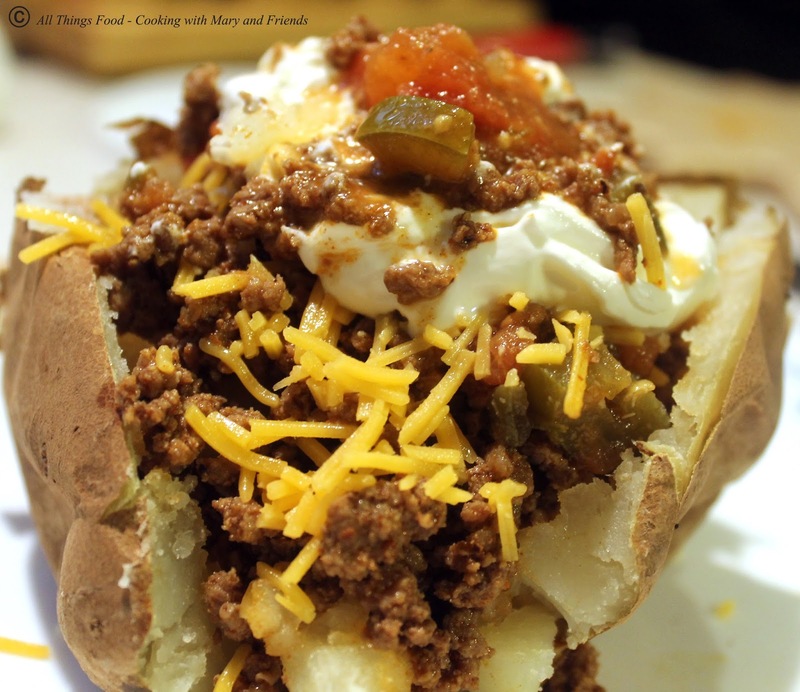 Top each potato with 1/4 cup ground beef mixture; sprinkle each with shredded sharp cheddar cheese. Divide salsa evenly on each and top with a dollop of sour cream. Add any optional ingredients at this time and serve immediately.